A definition essay is one of the easiest forms of writings. And from the word itself, all you have to do is to define a term, a word, or a phrase. Your definition essay topic can either be general or specific, serious or humorous. You can simply explain the definition of the term, or subjectively analyze it. It’s only up to you which approach you are going to use. However, there are still some basic guidelines to follow. So, make sure to check the following tips on how to write a definition essay. There are two types of terms you can use in your definition essay. First, it is the material term, such as pen and paper, which has definite and concrete meaning. And second, it is the spiritual term, such as love and hate, which depends more on your own point of view. There are various ways on how you can define a term in your essay. You can divide the subject into different parts and describe the parts separately. Describe the class which the subject belongs to. You can compare the subject to something more familiar by showing its similarities or differences. Describe the subject’s physical characteristics, conceptual background, traditional thoughts, internal attributes, and other distinguishing details that will make it easier for the readers to understand. Give examples, especially if the subject is too theoretical for the meaning to be more clear. To make the subject clearer to the readers, point out what the particular subject is not. You can describe the history of your subject or give a background information. Tackle the subject’s consequences and uses. You can also describe the results and effects of your subject in a particular situation to elaborate its definition. Always know the term you are going to define to be able to explain it clearly. Don’t just stick to the definition you find in dictionaries if you don’t want your readers to get bored. Use your own words in defining and put some spice by adding a personal touch. Present the information in such a way that your readers will surely understand it. Make it reader-friendly by showing clear details. Add a personality to your definition paper. You can use anecdotes or even your own personal experience. Enjoy the writing so that your audience will also enjoy the reading. So, you’ve been given an assignment to write a definition essay. The definition essay outline has three main parts: introduction, body and conclusion. However, before you can draft your outline, there are two important steps that you need to make: you need to make sure you have several sources for the definition of your topic or concept and you have to ensure the topic can be disputed. 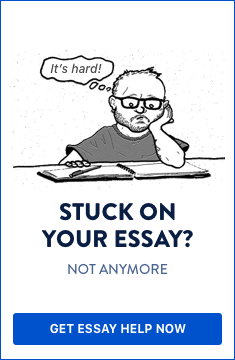 These two steps are vital as they are the foundation of your definitive essay outline. Without these you will not be able to effectively write your first draft. Once you have done these steps, you should follow the below outline to write your essay. This is where you tell your readers about your chosen topic and also where you have to hook them! Whether you start your definition essay with an intriguing question, a thought-provoking anecdote or a very bold statement, this is your chance to get their attention. To start, you should give a standard definition of your topic or what is called “the dictionary definition”. This is your starting point to explain what your essay is about. After giving the standard definition, you want to explain a little more about the topic of your definition essay so the reader knows what to expect. Finally, you outline your thesis definition. This is a combination of the standard definition and your personal thoughts, ideas and experiences. In explaining your thesis definition, you are not only defining the topic but you are also explaining how you plan to explain it in the paragraphs to come. This can be separated into the various points you want to bring across during your definition paper or it can be organized in sections to explain different aspects of the topic. In the first scenario, the more points you have to share, the longer the body of your definitive essay. However, regardless of the number of points, the essay format remains the same and the following steps are done for each. Firstly, you want to use an attention getter definition of your definition essay topic to pique the interest of your reader, making sure it is related to your thesis. There are four ways in which you can define your topic explaining what something does or how it works, explaining how something is organized, defining the topic by what it does not mean and what it isn’t and, finally, comparing it to something similar, making sure to highlight the differences. Whatever your choice of definition, you should ensure that you have properly analysed your topic and have provided detailed and factual definition examples. On the other hand, if the body of your definition essay outlines different aspects of the topic, you’ll need to cover each separately. For example, you may choose to explain the history or origin of your topic in the first section, the standard definition and its examples in the second and end with your personal definition and experiences. If you start with a bang, you have to end with a bang. Your definition essay conclusion must give an assertive account of your thesis, a summary of the main points and it must connect back to the introduction provided. You may also explain how the topic has impacted you, which will help the reader to connect with you. Following these steps will help you to close your essay, and leave your reader satisfied and with a sense of purpose. In a definition essay, students must write a thorough account of their interpretation on a given topic, properly emphasized with relevant facts. Below are several examples of definition essays that a student may be asked to write about during tests or coursework. Choose a definition essay topic that excites you, that you are comfortable with and one that you are confident you can write about in detail. Use as many words as you wish to explain your concepts and ideals on the topic and have fun creating your literary art. What does it mean to have a good sense of humour? What is the perfect wedding experience? What does “I have a dream” mean to you? What is an ideal or happy marriage? Define courage or being courageous. Can a woman be masculine? Define a leap of faith. What does it mean to have a heart? What does it mean to have charisma and charm? Who is a team player? What does it mean to act “Christ-like”? What does it mean to live a healthy lifestyle? What is good parenting? How do you do it? What is motivation? How do you motivate? Can you love two persons equally? What is whistleblowing in the business/ corporate world? What is good healthcare? Define a good (or the ideal) healthcare system. What is a “simplified life”? Explain how laziness is a state of mind. Explain how technology has made people lazy. What does it mean to be passionate? What is the social impact of watching too much television? Define the social impact of social media usage. What is successful branding or marketing? What are the challenges experienced by teachers? Define issues affecting learning in primary schools. What is the impact of using technology in the classroom? How can knowing learning styles affect how you teach? Who is a hero? What makes someone a hero? Define “Beauty is in the eye of the beholder”. What is art? Is graffiti art? What is self-worth? How do you define your self-worth? What does it mean to have peace of mind? What does it mean to have purpose? What does it mean to be healthy? How do you do it? What defines whether something is good or bad? Thinking of writing a definition essay? All you have to do is to identify a specific term to define, present it in a clear and original way, and give examples for the readers to fully understand and comprehend the term you are defining. It is just as easy as one-two-three. You just have to understand the concept before you can fully elaborate the definition.